Joyfully drafted and sewed many circle skirts for one of Davie's favourite clients, MelEesa Lorett, who also happens to be an exceptional fashion illustrator. The following are a sample of her extensive collection which she had commissioned Davie to create. To view more of MelEesa's work, click here. This colourful vintage fabric had a wonderful drape but was tricky to sew due to its delicate and loose weave. The lovely client and friend, MelEesa Lorett in Europe. Lively illustration of the vintage circle skirt. Illustration and photo courtesy MelEesa Lorett. For more on her work, click here. Fashion illustration of the ultramarine mega circle skirt. Photo courtesy of MelEesa Lorett. Find more of her work here. MelEesa, the client and illustrator for this series of circle skirt illustrations, hamming it up for the camera. Fashion illustration by MelEesa Lorett. Click here for more of her work. 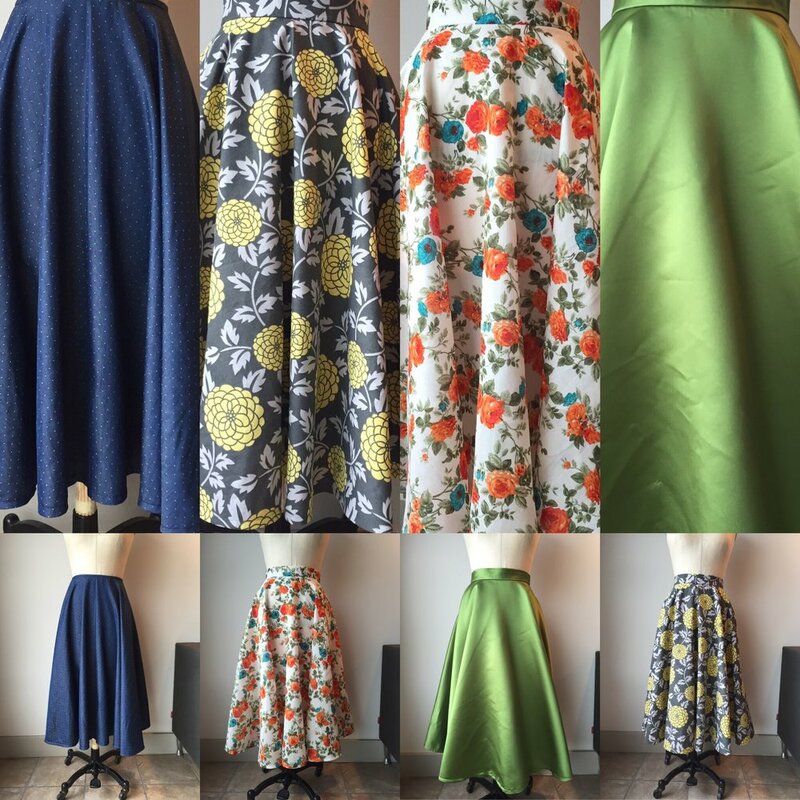 A small sampling of the skirts commissioned by my client.